Inline skating was something I remember doing many years ago, and I knew when Miss M received some Elektra Inline Skates from Ozbozz, she’d be thrilled, partly because she’s always wanted to try skating but also because she loves being outdoors. 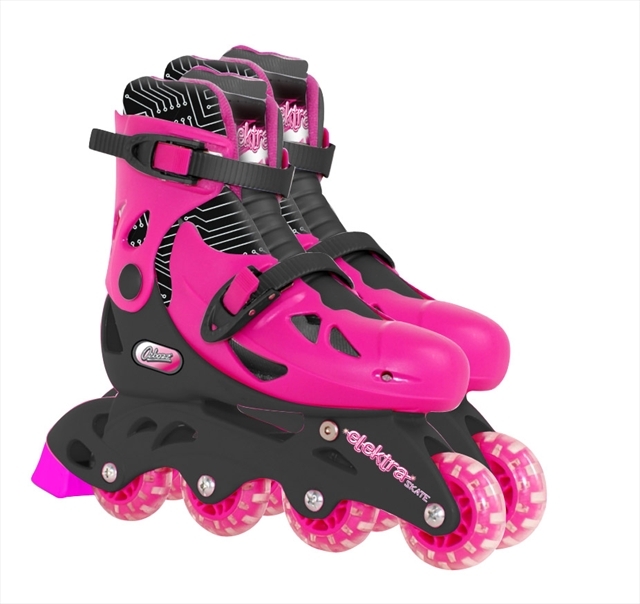 The look on 5yr old Miss M’s face said it all when she saw these inline skates, they were pink – her favourite colour, they were big grown up inline skates and she couldn’t wait to try them on and skate across the front room. What I liked about the Elektra Inline Skates is that they are adjustable and can be made to fit shoe sizes between 13 and 3. This is fantastic with Miss M just being a 13 means she will have plenty of use out of them and they’ll hopefully last a few years. By simply sliding the outer casing forward and back you can change the size, the inner lining also can be adapted according to size with velcro. These are well designed solid skates that easily glide across the ground. The next day we tried them at the local park and I was surprised at how quickly Miss M found her feet and was gliding across the ground, with the odd stumble of course, but having little fear at her age she just went for it and did very well. A few more tries and she’ll be a fabulous little skater. 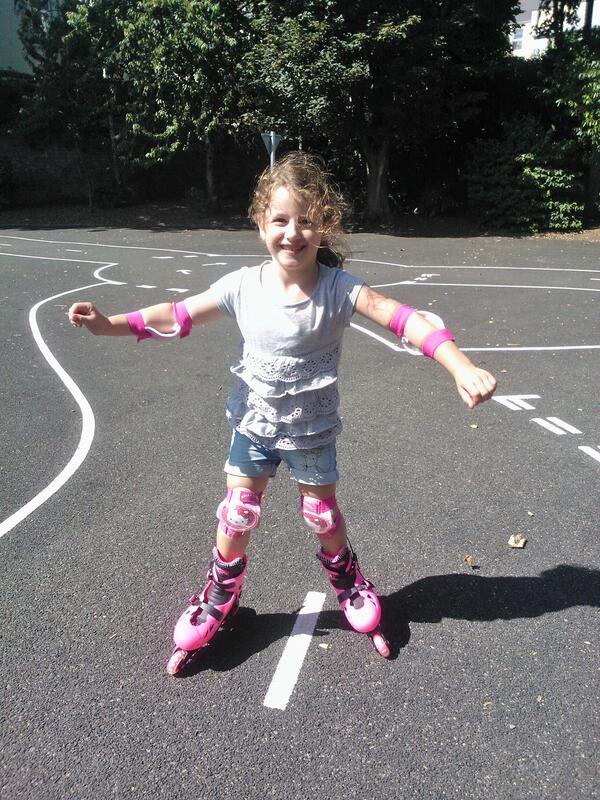 We have had so much fun with these inline skates – Miss M thinks they are brilliant and wants to go to the park with them at any given opportunity. I think they will get a lot of use over the next few years and definitely recommend them.